"Afghanistan remains one of the most dangerous and most violent, crisis ridden countries in the world," where one third of the population needs help, according to the United Nations. A recent report by the UN Office for the Coordination of Humanitarian Affairs found that 9.3 million people in Afghanistan are in need of aid due to armed conflict. The population of Afghanistan is more than 32 million. In 2016, every province in Afghanistan was affected by a natural disaster or armed conflict. More than half were affected by both. The fighting killed more than 8,000 civilians in the first nine months of 2016. A half million people lost their homes by November. Jens Laerke is with the UN Office for the Coordination of Humanitarian Affairs. "We expect very high levels of conflict-induced displacement and already this year, over 38,000 people have been newly displaced." More than half of those displaced were children. The United Nations International Children's Emergency Fund, or UNICEF says children and mothers are at great risk. The organization calls Afghanistan one of the most dangerous places in the world to be a baby, a child or mother because of limited access to health care. UNICEF reports that thousands of Afghan women die every year because of problems linked with pregnancy. It says those deaths can be prevented. In 2015, it says more than one in every 18 Afghan children died before their first birthday. UNICEF spokesman, Christophe Boulierac, says their poor diet is a silent emergency. He says more than 41 percent of Afghan children under age five are stunted. It is one of the highest rates in the world. "Stunting, as you know, is a sign of chronic undernutrition during the most critical periods of growth and development in early life. Children who suffer from stunting are more likely to contract disease, less likely to access basic health care and do not perform well in school." Boulierac says that the education system in Afghanistan has been destroyed by more than thirty years of conflict. He says three and a half million children do not go to school. An estimated 75 percent of them are girls. I needed a half million dollars to buy a script. I failed in my career as a writer of fiction entirely because of deficiencies in the education system. They also stress the need for improved employment opportunities, better transport and health care. 1.UNICEF reports that thousands of Afghan women die every year because of problems linked with pregnancy. His heart is linked with the hearts of the masses. Religion was for her inextricably linked with life itself. 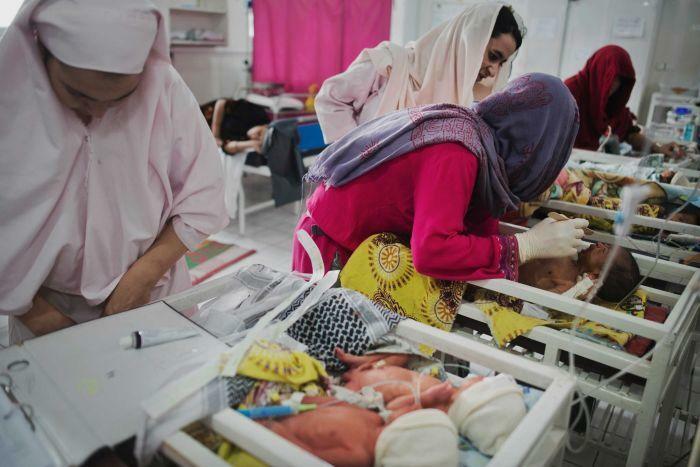 2.The organization calls Afghanistan one of the most dangerous places in the world to be a baby, a child or mother because of limited access to health care. They now have access to the mass markets of Japan and the UK.